Coordinator, Environmental Communication Initiative, Grady College, UGA. Affiliate faculty, Center for Integrative Conservation Research, UGA. Affiliate faculty, UGA Marine Institute, Sapelo Island, Georgia. About: Anandam Kavoori is currently working on several place-based essays, focused on sonic, performative and visual culture in an international context. He also serves as the Coordinator of the “Environmental Communication Initiative” at Grady envtjour.uga.edu. Study in A Second Discipline (Ecology), University of Georgia. Ph.D., Journalism and Mass Communication, University of Maryland, College Park. M.A., Cultural Anthropology, Brandeis University, Mass. B.A. Sociology, Hindu College, University of Delhi, India. Anandam Kavoori’s current area of work is focused on Environmental Communication. He created and coordinates UGA’s Environmental Communication Initiative (http://envtjour.uga.edu) and directs its Costa Rica study abroad program (focused on Environmental Writing). He is currently working on several place-based essays at the intersection of ecocriticism, auto ethnography and sonic / performative and visual culture. He anticipates bringing them together in a new book, tentatively entitled The Power of Place: Auto-Ethnographic Encounters with the Ecological Sublime. He is also building a grant profile in the teaching of communicative practices around environmental issues with recent / funded / active applications to NSF, NIFA, USFS, USIEF, and the Sloan Foundation. Anandam Kavoori’s earlier work was in the field of International Communication. He has written or edited ten books and over seventy single (or co-authored) journal articles and book chapters on the subject of media and culture in a global context, across print, television, film and digital culture. Amongst his books are The Logics of Globalization; Thinking Television and Global Bollywood. He is also the author of two books of fiction, including a critically acclaimed novel, The Children of Shahida. He has served on the editorial board of Critical Studies in Media Communication. Abstract: This paper is a textual accounting of the world music phenomena (Buena Vista Social Club) across the realms of music, YouTube, social media and industry commentary. It develops a theoretical framework around “Authenticity” as an important marker of world music, and the identity politics that underlies this specific aspect of transnational entertainment media culture. Dr. Kavoori teaches a range of courses—Environmental Communication, International Communication, Writing for Digital Media, Race, Gender and Media and occasionally, a special topics course on Bollywood Cinema and Culture. He has been a Lilly Teaching Fellow and Mentor at UGA and been nominated for both the Russell and Meigs Teaching Awards. He is currently a Service Learning Fellow and has been invited to be a member of UGA’s Teaching Academy. 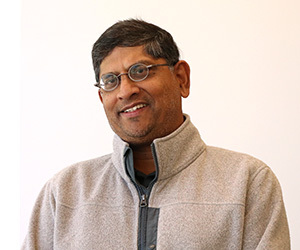 Dr. Kavoori has been a consultant to News Corporation, CNN International, CNN, Discovery Channel, BBC, and Living Media and was a faculty judge for The George Foster Peabody Awards for over twenty years. His columns on media and culture have appeared in leading newspapers in Europe, the United States and India. He has been interviewed as a media expert by American, Austrian, British, Cuban, Indian, Japanese, Norwegian, and Spanish media outlets. Dr. Kavoori has taught in study abroad programs at Oxford University, the University of Innsbruck (Austria), Korea University (Seoul, Korea), Costa Rica and Cambodia. He frequently lectures at different forums in the United States, Asia, Europe and Latin America. Before joining academia, he was a journalist with media organizations in India and the United States. He has held a Lilly Teaching Fellowship and has been twice selected for College Teaching Recognition.